Reprint. Radio tie-in. Originally published: New York: Penguin, 2015. 'I am most grateful for two things: that I was born in North Korea, and that I escaped from North Korea. 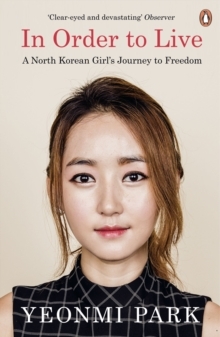 'Yeonmi Park was not dreaming of freedom when she escaped from North Korea. She didn't even know what it meant to be free. All she knew was that she was running for her life, that if she and her family stayed behind they would die - from starvation, or disease, or even execution.